This year the West African country of Mauritania (pronounced "maur-ih-TAY-nee-ah") became the latest of the world's countries to change its flag, mostly keeping the old design but adding red bars on the top and bottom. It's common around the world for even a small flag change to be criticized as a political distraction or a waste of money, and this was no exception. But when it landed on ballots in an August 5 referendum this summer, the modification was approved by 86% of participating voters. The new flag was first officially raised on November 28, Mauritania's independence day. What Does Mauritania's Flag Mean? 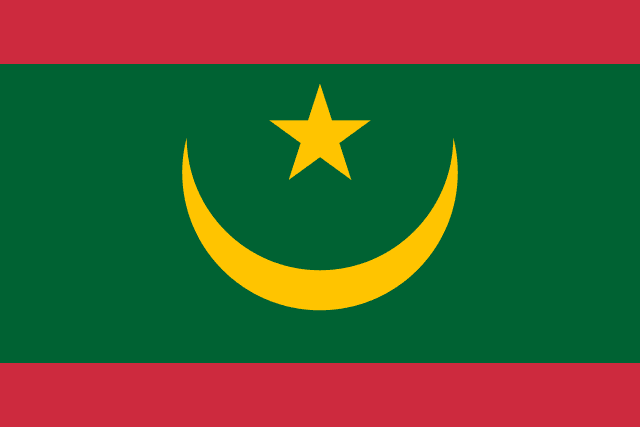 Until this year, Mauritania was one of only a few world countries whose flag didn't include the colors red, white, or blue. The star and crescent moon, originally an emblem of the Ottoman Empire, are now used in many national flags as symbol of the Muslim world. The color green is also a symbol of Islam, while the golden yellow of the star and crescent are said to represent the sands of the Sahara Desert. The new red bars symbolize blood sacrificed to defend the national territory in both the past and in the future. Green and red are also part of the Pan-Arab colors used in flags across the Arab World, while red, green, and gold are one version of the Pan-African colors. How Often Do Countries Change Their Flags? There were almost 70 national flag changes in the 1990s, during the late stages of decolonization and the end of the Cold War, but since then the rate has slowed. From 2000 through 2009, there were about 25 flag changes, and since the beginning of 2010 there have been about 12. That's still an average of almost two changes annually, but the past four years have seen a bit of a dry spell: Before Mauritania, the most recent countries to change their flags were Paraguay and Afghanistan in 2013, preceded by Malawi and Belarus in 2012 and Libya in 2011. For more news about past and future flag modifications, you view all flag change articles on PolGeoNow! Graphic of current Mauritanian flag licensed under CC BY-SA (source). 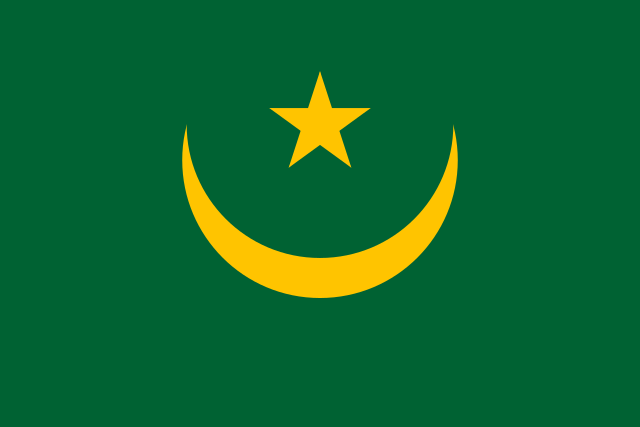 Graphic of the previous Mauritanian flag is in the public domain (source).